Want to experience the feeling of being under the bright lights of the famous strip? 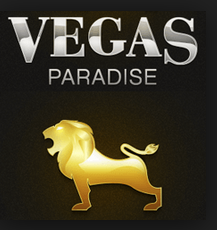 Well Vegas Paradise Casino will treat you to some of the best Vegas style gaming that you can find. At Boku Slots we love it when we find a site of such quality and with a great range of promotions and games, we think you may have just found your next casino. Vast array of payment methods including Boku. All new players get to take advantage of a great welcome bonus that represents excellent value. Regardless of whether you’re an experienced casino player or new to online gambling, the extra bonus credit is a great way to get to know the site or a new game. 1st deposit 100% cash match – When you make your first deposit, you will receive a 100% cash match up to £200 on your deposited amount. So let’s say you deposited £40 into your account, you would receive £40 in bonus credit; giving you a total of £80 to play with. As you would expect from a modern casino, Vegas Paradise it is completely mobile friendly. This means that if you have an internet connection and a device that works on Android, iOS, Windows or Blackberry, you have direct access. All you need to do is log in to your account direct from your browser, with no downloads and no storage space being used. When all is said and done you join a site because of two things, offers and games. With Vegas Paradise Casino you get the best of both worlds. There is an amazing range for you including casino, live dealer, slots, scratch cards and let’s not forget a dedicated progressive jackpot section. As soon as you step inside, you are going to be met with amazing live dealer and table games. Try your hand at the Multi Player Baccarat, if that’s your thing, but if not there is always Keno available too. On top of that you have Live Roulette or even Triple Pocket Hold’em Poker to choose from. Playing new slots can sometimes be a little daunting, at least with Vegas Paradise Casino you get the choice of trying them in the demo play mode. But there are lots of games here you may have encountered before such as Gonzo’s Quest and Tornado Farm Escape. Personally we love trying out new titles we haven’t seen before, so we took a few spins on Viking Quest; we loved the features and the way the reels were set out where a welcome change. Get your instant win itch scratched with the Vegas Paradise Casino and the fantastic range of scratch cards. Demo versions are available here too, so we always recommend giving them a try before you play for real cash. There are so many to choose from including our favourite Germinator, as well as the creepy Dawn of the Bread. The promotions aren’t just for new players at Vegas Paradise Casino, there are plenty of bonuses for regular players too. Just check out the promotions tab to see what is currently available, as there are also seasonal offers and special competitions. A list of regular promotions can be found below. Monday Madness – Shake off the Monday blues, thanks to an email filled to the brim with promotions. All you need to do is pick one, deposit into your account and enter the promo code to grab your deal. Twice Wicked – How about claiming your Monday bonus all over again? Vegas Paradise Casino wants to go the extra mile for its players, so from Tuesday to Thursday you can claim whatever bonus you picked on Monday for a second time. Weekly Surprise – Each week there is a set of bonuses sent out to randomly selected players. The more you play the previous week the bigger the bonus will be if you are selected. Wednesday Wildfire – You need to be super quick if you receive the Wednesday wildfire email, as once you have your bonus you have one day to claim it. This is also a random promo that offers slot spins on specially selected games. Live Dealer Cashback –Play live dealer roulette on weekends and you will be rewarded with 30% cash back on aggregated losses up to £300. You will receive this bonus into your account on the Monday. Roulette Promo – Alternatively, play at the standard roulette table on weekends and you will receive 25% cash back on aggregated losses, again up to £300. Happy Hour – The Vegas Paradise Casino happy hour runs from 12 noon until midnight every Sunday. Simply deposit £10 into your account during the allotted timeframe to receive 5 spins on specially selected games. This bonus can be claimed up to 10 times every Sunday. When it comes to rewarding loyal players Vegas Paradise Casino has it made. If you are invited to join the VIP scheme you are going to be in receipt of some very special deals. Firstly, you will need to start to earn loyalty points; for every £16 wagered on games you will earn 1 point. As these begin to add up you will have the choice to trade them in or store them to climb the VIP levels. You begin at bronze and can climb through to silver, gold, platinum and diamond. Each new level opens up bigger and better deals, offers and extras. At present if you need to contact the Vegas Paradise Casino support team for help, there are only two ways to do this. Either choose the live chat option or send an email. That being said you will still receive a swift and helpful response from a member of the team. You will love topping up your account once you see just how easy it can be with Vegas Paradise Casino’s payment methods. These include Debit and Credit cards, Giropay, Trustly, Neteller, Sofort, Skrill, Paysafe Card, iDeal and of course the amazing Boku mobile carrier billing. If you aren’t already contemplating heading over to Vegas Paradise Casino, what else are you waiting for? Not only do they have amazing regular offers, the range of games available is excellent too.